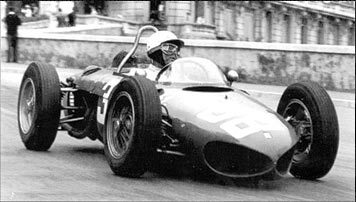 At the Italian Grand Prix in 1961, a duel between two Ferrari Teammates, Phil Hill and Wolfgang von Trips, came to a head. It was a classic inter-team duel and each knew they had a shot at winning the title. In this case, it was an American vs. a German and neither of their respective countries had ever had a world champion driver. Trips held a slight points lead over Phil as they went into the penultimate round at the Autodromo di Monza, the home of the Italian GP. Trips was going strong all weekend, qualifying on pole position. Phil, on the other hand, was not happy with the performance of his car and he convinced the team to replace the engine the night before the race. When the green flag was waved to start the race, Phil got off to a tremendous start while the German driver faltered. With Phil out in front, in a desperate attempt to keep up with the leading group of cars, Wolfgang von Trips touched wheels with another car on the entry to the very fast Parabolica corner (a corner still used today in the exact configuration). This sent Trips spinning off the track killing himself and 14 spectators. 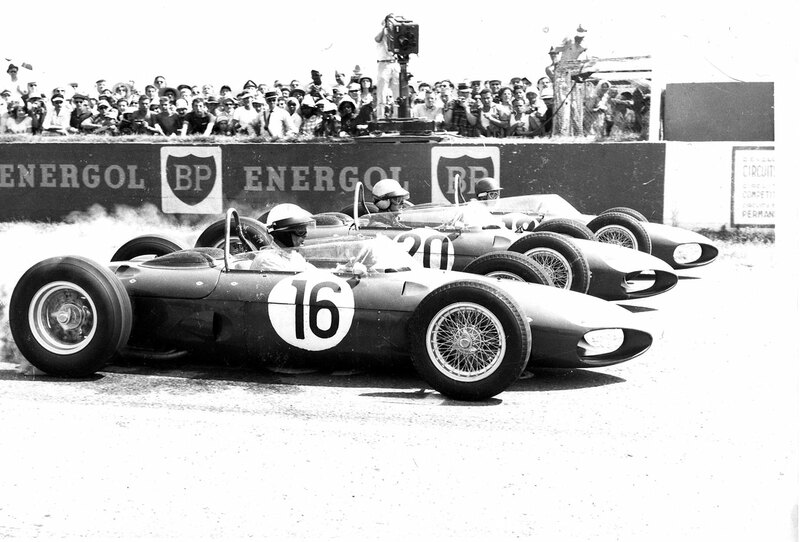 In an era of the sport where deaths were common, the race continued, and Phil Hill went on to win the race, becoming the first American to win the Formula One World Championship. It was a bitter-sweet win, having lost a fellow driver and teammate in the heat of competition, but all who raced in this perilous era knew that the risks were great and that fatal accidents were always an unfortunate possibility. Phil’s achievement is something that America can be proud of and we would like to invite you to contribute to our 50th Anniversary Blog, to hear your stories of having known Phil, or seen him race, or what his life and legacy might mean to you. Thank you for taking some time to visit the site, and be sure to come back to see what’s new.